The goal of Birding Haapsalu is to help you to discover Haapsalu as one of the most fantastic birding areas in Estonia. We provide guiding for the birders and nature lovers with different experience. Our trips are guided by one of Estonian top birders Tarvo Valker. 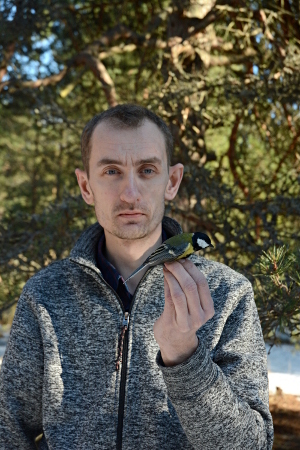 Born in Haapsalu, he has spent more than 25 years birding in this region. Beside birds, Tarvo is also interested in mammals and dragonflies. Having guided different birding and mammal watching tours for 15 years it is hard to find a more experienced tour guide from Estonia. Besides guiding he has been involved in nature conservation and bird monitoring. Tarvo is also now actively involved in nature education and has established his own nature school. If you would like to collaborate with us, do not hesitate to contact us!